This mason jar lid has a variety of uses! Use it to store garlic, spices, and herbs. 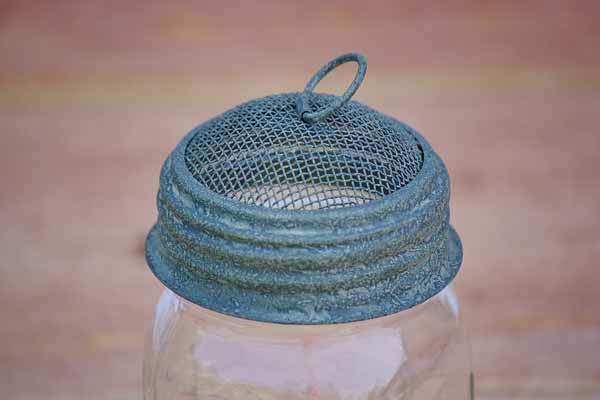 It makes a whimsical terrarium for a bug or lizard. Sprout beans and seeds with ease. The ring at the top lets you hang it in the window. Fits regular mouth mason jars.